MAKE MORE MUSIC with Belinda! This new workshop for both students AND parents starts with a FREE INTRO session on THURSDAY, SEPTEMBER 20th at 7:30pm. Ages 6+ are welcome to join in on ANY instrument (please bring your own, besides drum set). After the intro class, the first session of Belinda’s Backstage Pass will run from September 27th through December 20th (12 weeks, spanning the remaining Fall Session & Holiday Session). Cost is $180/student, which includes one FREE parent/guest every week, plus unlimited guests on “Open Jam” nights (dates TBA), when we invite all music-makers to join in! 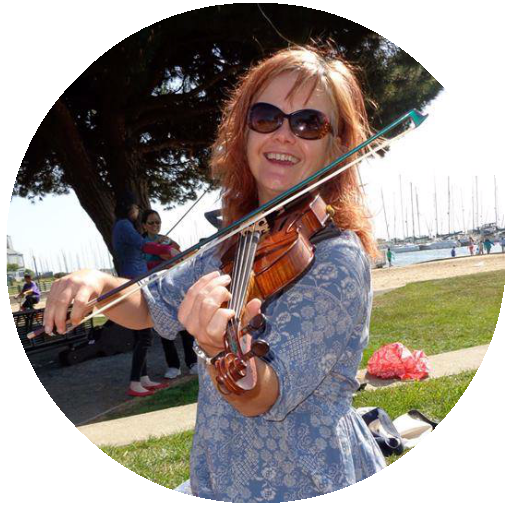 Belinda’s Backyard Jams at her Oakland home have been a hit with the community, as students, parents & professional musicians alike come together to make music in a safe, supportive environment. We are excited to bring our version of this experience to Music Time with “Belinda’s Backstage Pass” – a weekly community gathering centered upon building confidence in creative expression on ANY instrument!